Weather-Tech Roofing & Waterproofing has put together a highly qualified and skilled team. Each project is managed by experienced professionals who are leaders in our industry, and aim to maintain and improve the value of office, industrial, retail, and institutional properties. 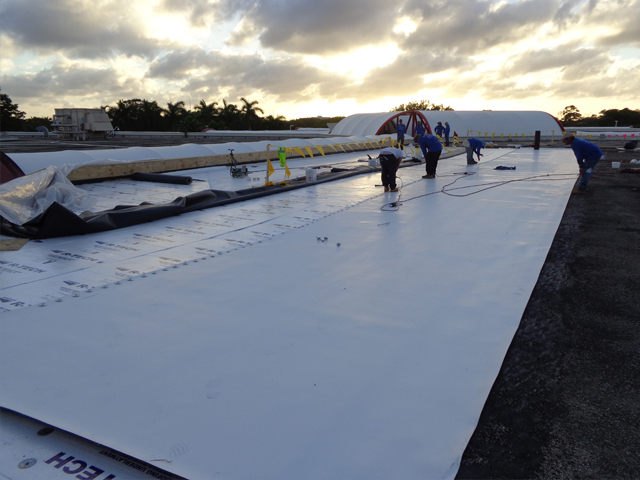 We offer a full range of services to address all of your roofing and waterproofing building envelope requirements. We are approved by all major roofing manufacturers, and therefore are able to offer extended warranties. 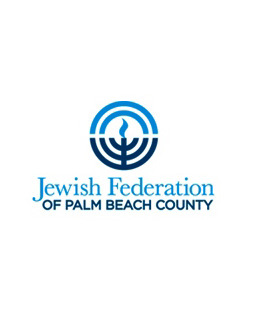 Additionally, our FPL contractor certification allows us to provide energy rebates. Weather-Tech Roofing & Waterproofing is a relationship-based contractor with a history of repeat business. Our service department consists of two-men service vehicles, addressing time and material leak requests, preventative roof maintenance, scope work, maintenance contracts, and roof restoration. We are customer-service oriented and meet regularly with our clients face-to-face. We work with our clients to identify problems, outline project scope, and select the most appropriate and cost-effective options. This process has helped us build a history of long-term relationships that we are especially proud of. From repairing a tear in the roofing membrane to more comprehensive roof restorations, Weather-Tech Roofing & Waterproofing can affordably extend the life of your roof for 5 – 10 years at a fraction of the cost of a new roof. We complete a comprehensive analysis of your roof to determine your waterproofing needs and give you options that help you protect your assets, within your budget. 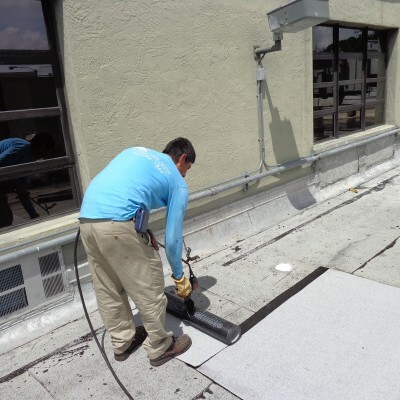 The roof and walls of your building are made up of a system of materials and parts that need to be maintained to prevent the need for major repairs and for optimal efficiency. Regular inspections while addressing minor repairs in short order allows you to manage expenditures and avoid unforeseen difficulties. 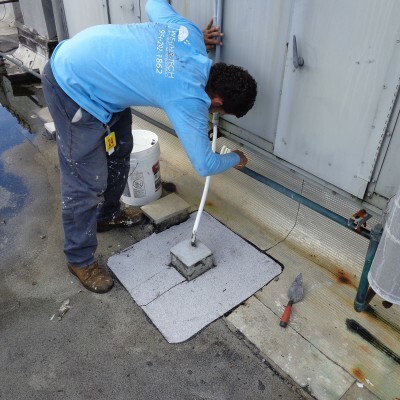 Weather-Tech Roofing & Waterproofing offers preventative maintenance and inspections that meet every budget. Protecting your building from water intrusion goes beyond the roof. Leaks can occur anywhere in the building envelope. Since moisture in the building can cause costly damage, it is important to identify the source as quickly as possible and make repairs. We don’t stop at the roof. Our experienced teams use advanced technology to investigate leaks, find the source of water intrusion, and properly correct any problems.